Dry cleaning – it’s a phrase we are all familiar with, but do you know how the process of dry cleaning actually works? 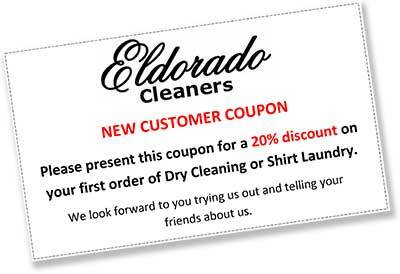 We often hear confusion from our customers about how dry cleaning works and what is actually involved in the process. 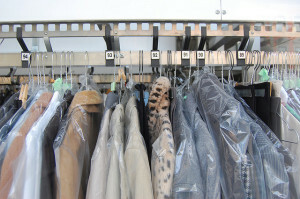 So, without further ado, what is dry cleaning? Washing machines in our homes use water as a solvent to clean clothes, bedding, and other items put in the wash by “grabbing” stains and carrying them away. Water is a terrific solvent, and we can enhance this property with the use of laundry soap. The soap helps to chemically “loosen” stains and dirt, while the water carries the dirt, grime, and soap away, leaving your clothes fresh and clean the majority of the time. However, while water is a great solvent, it is not a one-size-fits-all solution. Some types of stains, such as oil, are naturally water-repellent and are very difficult or impossible to remove with laundry soap and water alone. In addition, the home laundering process can cause damage to some garments with the movement of the washing machine or the use of water. For example, goose down should never be washed with water because the water causes clumping in the down feathers and makes the usually fluffy down come out clumpy and ineffective, even when dry. This is where dry-cleaning comes in handy. Did you know that dry-cleaning actually does not use water in the cleaning process? This is where the term “dry cleaning” comes from. Most dry cleaners use a solvent called Perc, however other chemicals are gaining popularity. Regardless of the type of solvent chosen, the solvent is added to a commercial machine designed specifically for dry cleaning. The garments are soaked in a circulation of this solvent for varying amounts of time, loosening dirt and stains. This soaking is where the magic of dry cleaning comes into play. The dry cleaning solvent is such an effective cleaner that difficult stains like oils, set-in stains, and others are dissolved without much trouble at all. Because the stains are removed so easily, there is no agitation required during the cleaning of the item, which allows dry-cleaners to tackle delicate materials like lace. And because there isn’t any water used, materials like goose down and wool can safely and easily be laundered without the risk of shrinkage or clumping. After the item has been soaked, the machine spins the clothes to expel the solvent and leaves your items clean and clear, and dry. Commercial machines are capable of recovering the expelled solvent used to clean your items, and it can be used many times after being filtered. Environmental regulations on dry cleaning solvents strictly regulate where the solvent can be bought and disposed of, so if environmental concerns were on your mind, rest easy. So that, friends, is dry cleaning in a nutshell. We use a reusable solvent in an environmentally friendly way to get your items cleaner than you ever could at home – what could be better?! 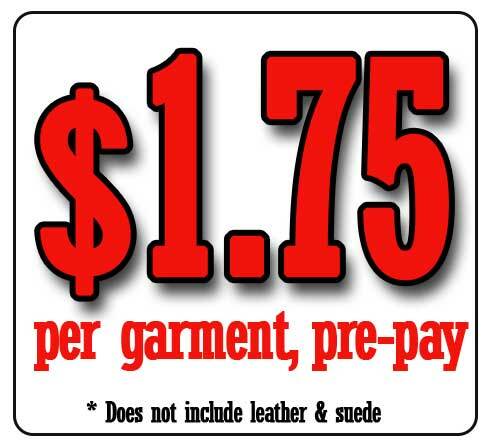 If you’re a frequent customer or have never had an item dry cleaned, our April special of $1.25 shorts dry cleaning is a great place to start. Come in today and see for yourself why a professional dry cleaning is worth its weight in gold.